Elders Burbidge and Pulido working hard! Hello everyone! Following is a sentence from an email I received last week…can you guess who sent it to me? Was it…Sister Sparks? Nope. Mom? Nope. Kate? Nope! Aunt Judy!………… you’re a winner! I didn’t know Aunt Judy had such a hip vocab. Anyway, this week was good! It was transfer week! It’s always kind of a blur around here. HUGE things happen, like a departing batch of missionaries, a new batch coming in, transfer calls, transfer day, and it just goes right out of the brain unless I write it down. 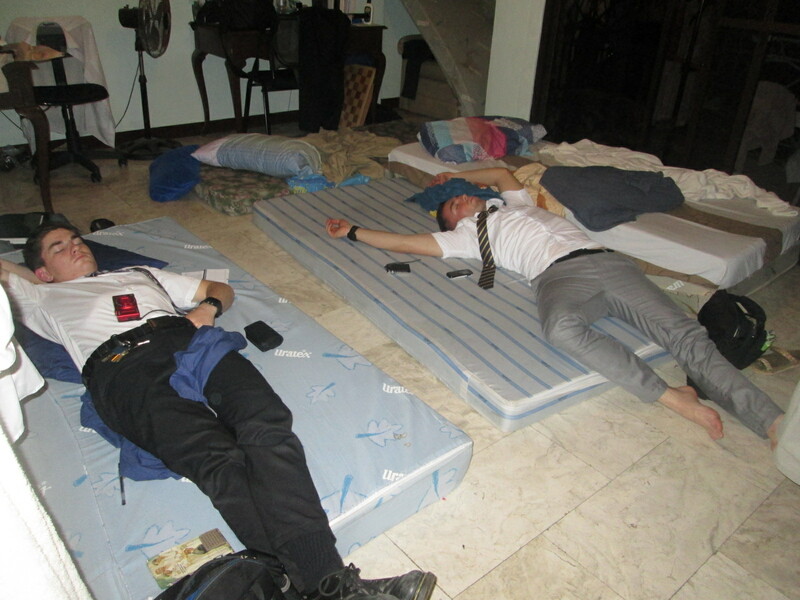 Anyway, the new batch of missionaries that we got this week was 9 sisters and 2 elders. It’s been interesting to watch outgoing batches and incoming batches and to see how the Lord really just replaces personalities. We get to interact with each missionary that just got here and they are SO SIMILAR to the missionaries that have left from the previous couple of batches. It’s awesome to me how the Lord knows what this mission needs and is sending the kind of diversity that we need here to reach as many people as possible. I talked with President Mangum this week about what it’s like to go home. I’m not trunky – just a bit concerned because my plan is not set in stone (i feel like it will never be), and wanted some guidance about how to connect as many parts of missionary life to the next step as possible. I’m mostly focused on just staying far from temptation, not necessarily bad situations, but just thoughts that i’m not fulfilling a purpose because i won’t be a missionary anymore. I hope that made sense! Anyway, he just told me to serve! Among other things that’s what i picked up. I realized that you don’t need a badge and a white shirt to serve others and be a good person. The quote, “be anxiously engaged in a good cause” has been in my thoughts recently and I’m excited to continue to serve here with that attitude, and continue on within the next couple months serving others and helping them feel the Love that God has for them. This upcoming week we’re going to have a district leader training meeting and an MLC meeting. My companion, elder Pulido and I are pretty stoked about it! we’ve got some good ideas for this one. we’re centering it upon the #becauseHelives initiative that the church released this last week. I’ll let you know how it goes next week. I love you all and I hope that you are HAPPY. If not, do something to fix it. Ask for help. Search for truth. God loves you and wants you to take the steps necessary to have joy in your life. It’s a cool principle of truth. It’s His only desire. 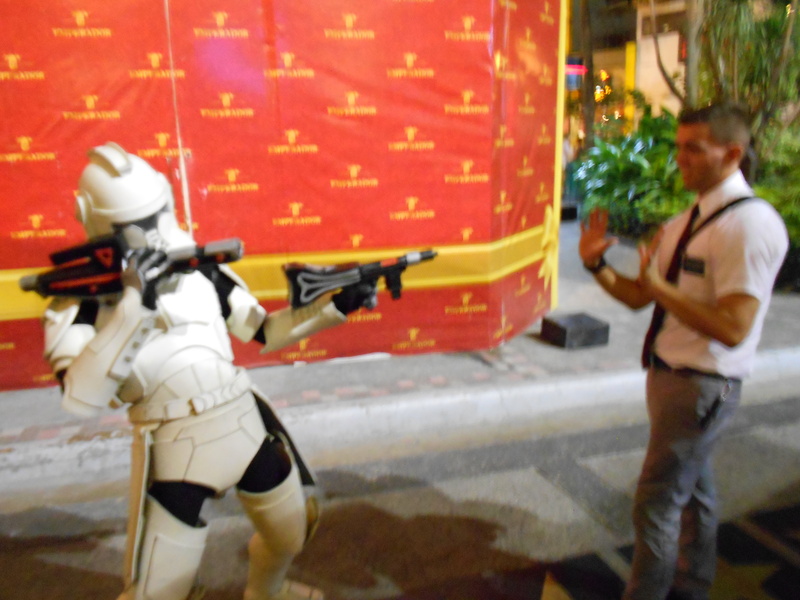 Elder Burbidge taking on the Empire! 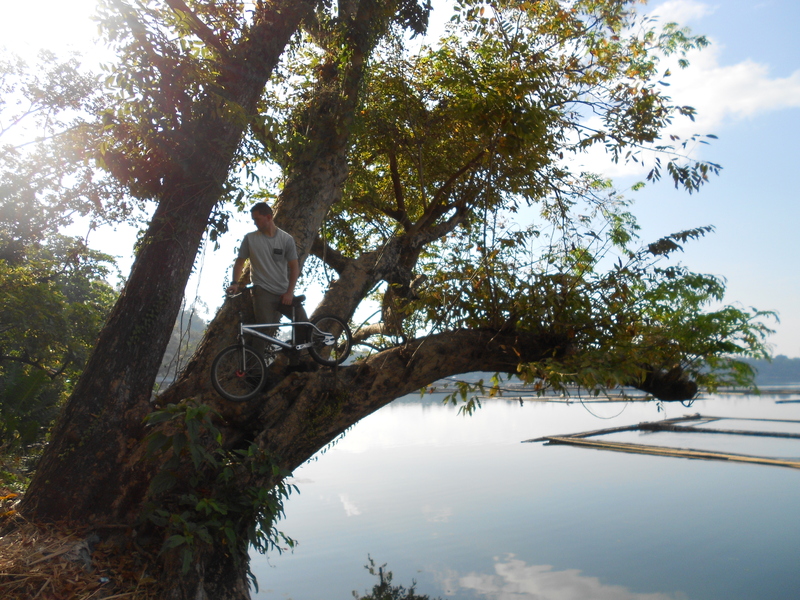 Elder Burbidge geting a bike out of a tree? !